Acceptance. The Forge is for anyone who wants to seek God—from those exploring whether or not God even exists, to committed Christ-followers. Wherever you are, we’re happy to have you. WHAT TYPE OF CHURCH IS THE FORGE? We are a Baptist church and are affiliated with the Canadian Baptists of Western Canada. We have a Gathering on Sunday mornings at 10am at 2612 Sooke Road in Langford, BC. 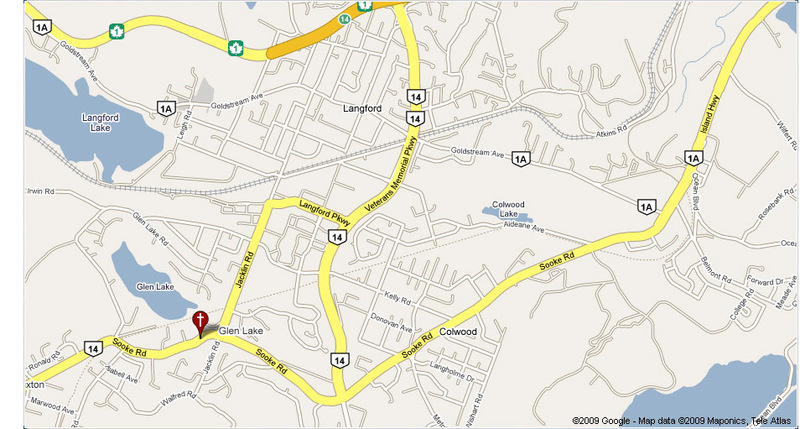 The church is immediately past the Jacklin & Sooke Rds. intersection. MAC’s convenience store is at the corner, and then us. Parking: There is a front lot and a lower lot. The driveway for the lower lot is immediately past the bus stop on your right, just before the church. Dress in whatever you feel most comfortable in. We have no expectations. Some dress casual and some fancy. It is all good. Our main entrance is where you want to come to. It is by the very tall cross. Just a few steps in and to your left is the entrance to the Sanctuary. The coffee and tea will be on and ready for you to enjoy. It’s free and just to the left once you pass through the Sanctuary doors. Start time is 10am. WHAT IS THE GATHERING LIKE? It is informal and relaxed. To start, there will be some music. This helps us to focus our thoughts on God, so we call is worship. After that, announcements are made about what is happening in our community. We’ll continue our worship through an offering. A short break occurs to let you connect with others and to refill those cups! Then it is time for our kids to go to their group. We’ll worship a bit more through music. Praying together is next. Some people will get up and go pray for someone, others will form clusters to pray together. They may pray out loud. You are not expected to do this. Sitting quietly is completely fine too. 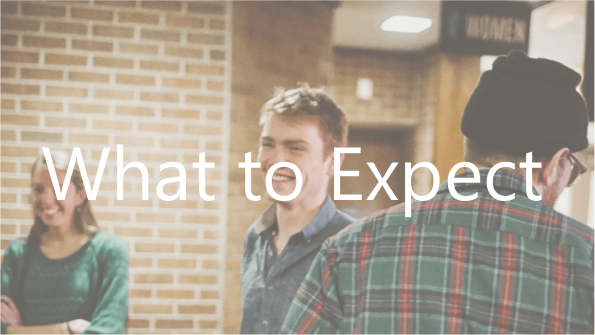 One of our pastors will share a teaching, which may or may not include a time of open discussion. Our ForgeKids Team provides an amazing experience of encountering God every week. There is a sign in/out book that you will be directed to use. It is there that you can let us know if your child has any allergies or special requirements. If the team need to contact you during the gathering, one of the Jr leaders will come to you. At the end of the Gathering, you pick up your child from the room and sign them out.